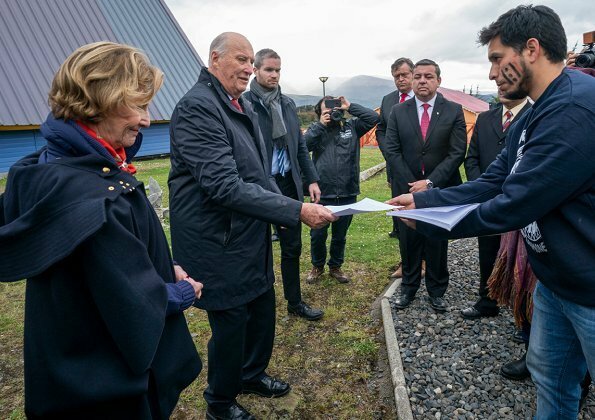 King Harald V of Norway and Queen Sonja of Norway ended their state visit to Chile in Puerto Williams. Puerto Williams is located not far from Cape Horn and considered the world’s southernmost town. Puerto Williams is the capital of Antártica Chilena Province. Founded in 1953, Puerto Williams has primarily served as a naval base. 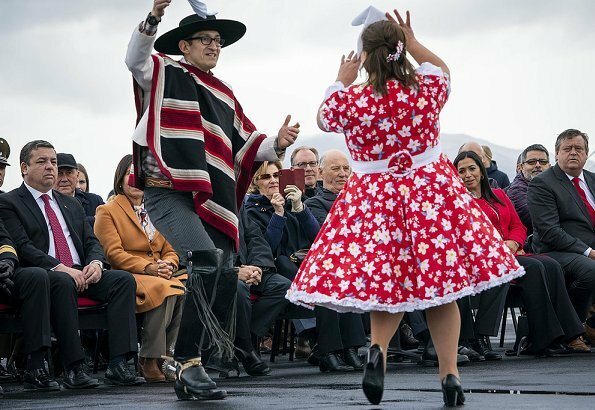 On arrival at Puerto Williams the King and Queen were greeted by folk dancers. There were demonstrations against Norwegian aquaculture in Puntas Arenas. 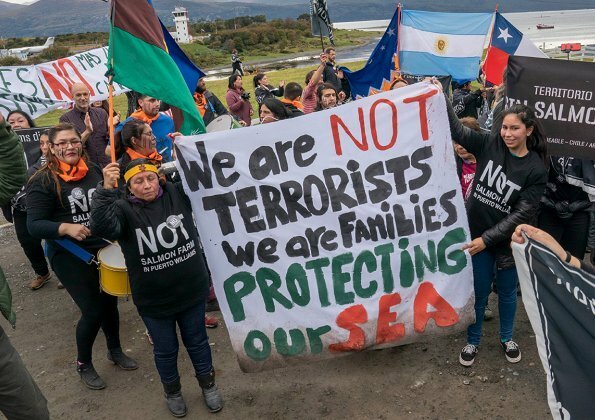 There were many demonstrators also in Puerto Williams who protested against plans to establish fish farming facilities in the area. The mayor and representatives of the local people gave a letter to the King and Queen. According to the local people, aquaculture facilities will pose a threat to the natural surroundings. The King and Queen met with "Abuela" (Grandmother). She is more than 90 years old and the last of the local people that still speaks their language, yagán. 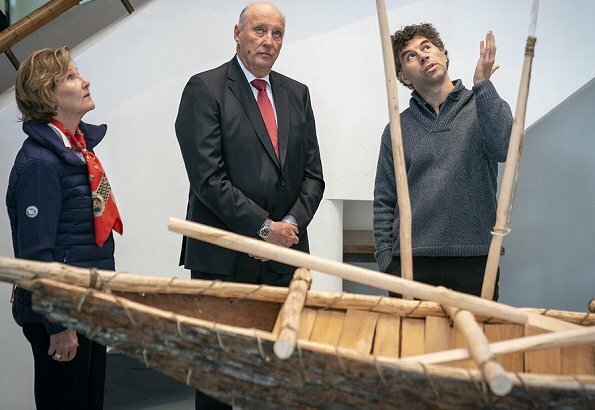 King Harald and Queen Sonja visited the local sailing school in Puerto Williams. The school serves children and young people from around Cape Horn and has more than 80 enrollees between the ages of 6 and 16. 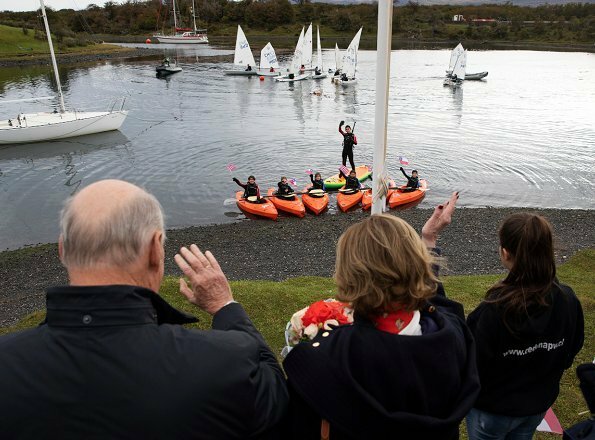 Training is provided in swimming, kayaking and sailing. Activities at the school promote an active lifestyle and respect and love for nature. 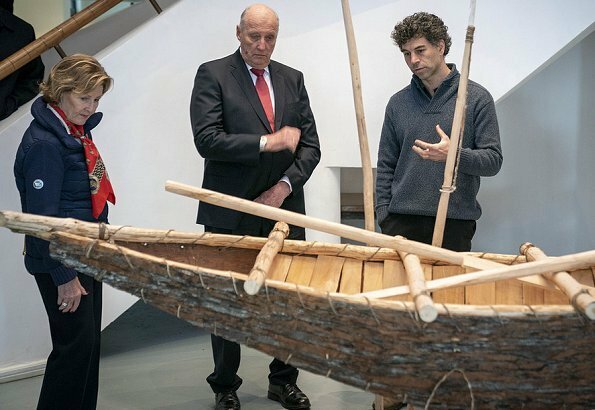 The King and Queen visited Martin Gusinde Anthropological Museum and attended a lunch at Lakutaia Lodge. 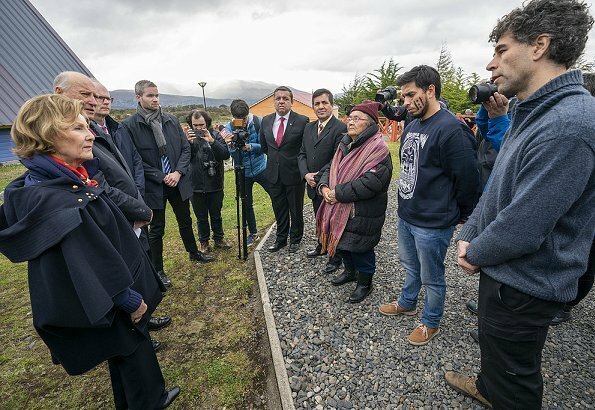 The state visit of the King and Queen to Chile ended with the visit to Puerto Williams. 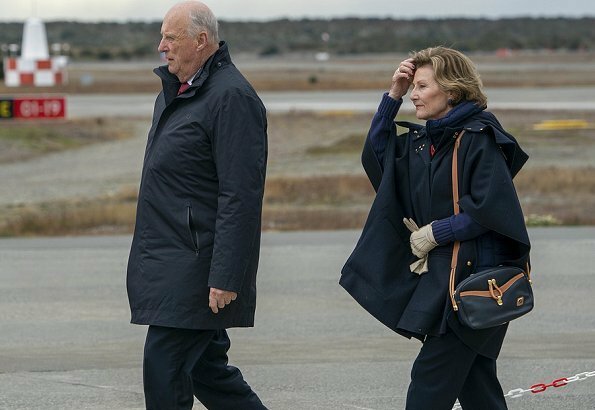 Queen sonja gives any 20 somethings a run for their money with her fab casual style. These two are simply amazing. They are among my top favourite Royals. 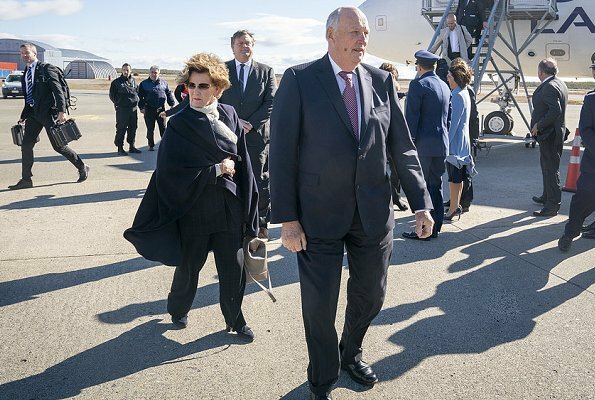 Continued long life, good health and happiness to you King Harald and Queen Sonja. This Royal Couple is very hard working and both are in their 80's amazing. 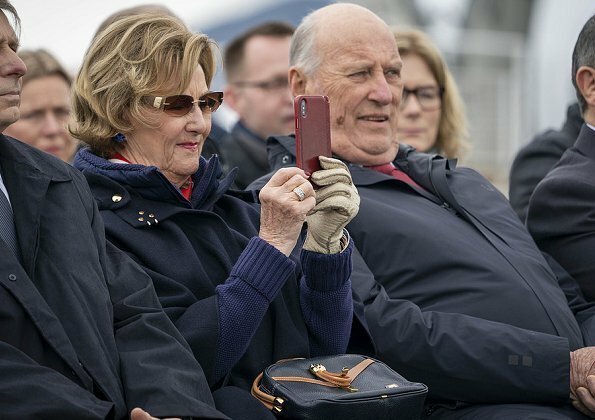 Queen Sonja always looks spot on. This was a long visit to a foreign Country, but I think they both enjoy it a lot. 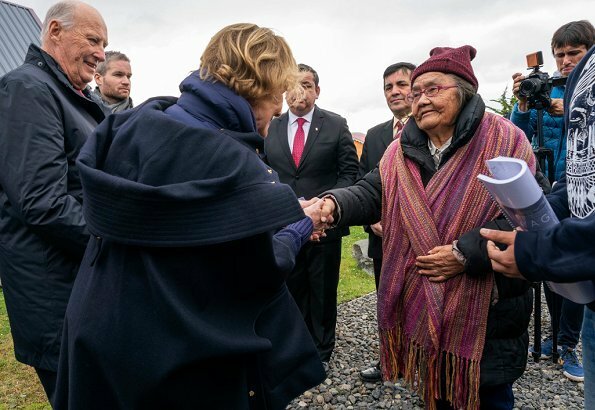 Coincido con "Anonimos"4'19 y 8'26 son asombrosos y los uno a la reina MARGARITA de Noruega! !que capacidad de trabajo,RESPONSABILIDAD! !